Salvación has been fiercely independent from a young age. When other girls her age were being forced into arranged marriages, Salvación left home to avoid marrying someone she didn’t know. 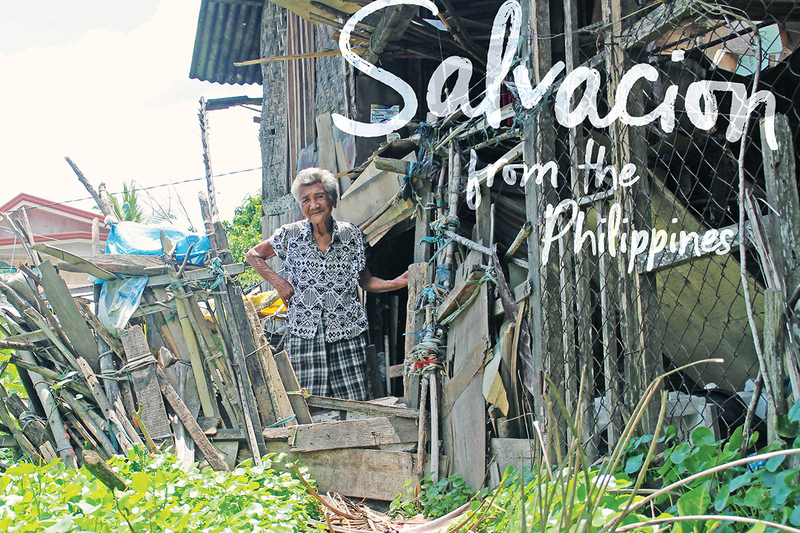 Now at the age of 84, Salvación remains independent. 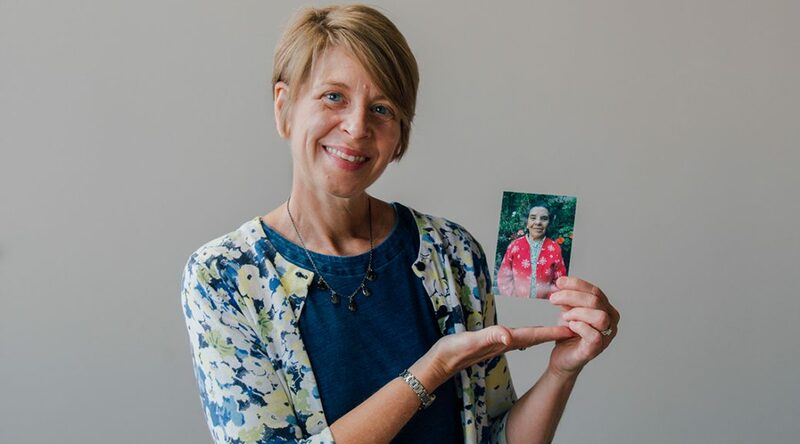 It isn’t easy being on her own, but her neighbors check in on her and she has the help of Stephanie in Louisiana, who has been her Unbound sponsor for 16 years. Jayamma isn’t sure exactly how old she is or how long she and Amos have been married, though she knows they’ve been together for more than 30 years. She remembers that Amos was very handsome when she met him. 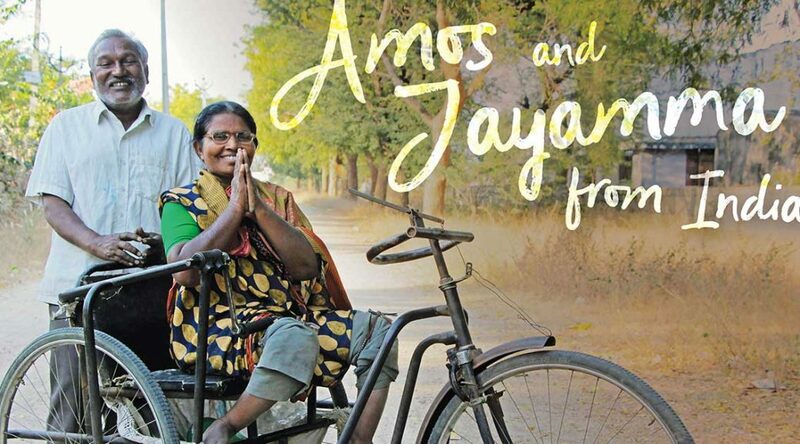 Both lost their parents at a young age, and Jayamma lost the full use of her legs from childhood polio. 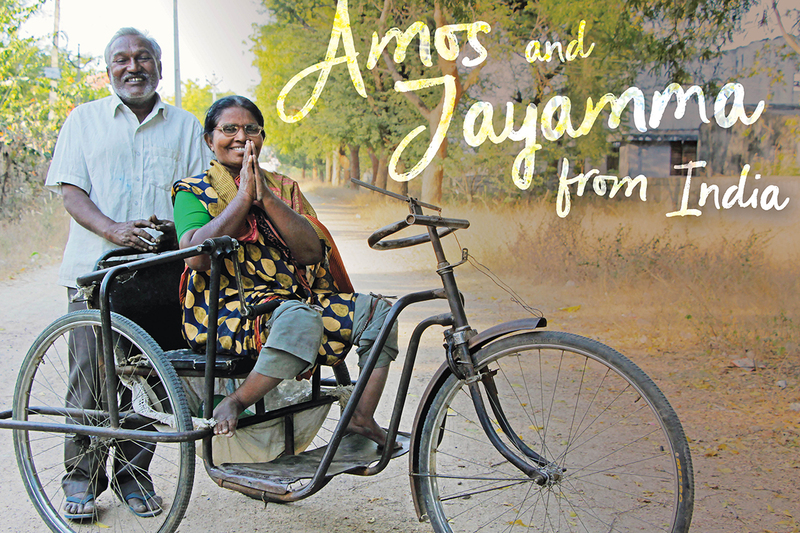 Amos used to carry Jayamma on his back but now that they’re older, they use a tricycle to get around. William took to heart his grandfather’s advice to live in harmony with and respect others. He said he’s always loved being among people and being a peacemaker. These traits likely helped when he was elected a village elder. At 62, William lives with his wife, five children and a grandchild. His children are educated, but jobs in their fields are hard to find. 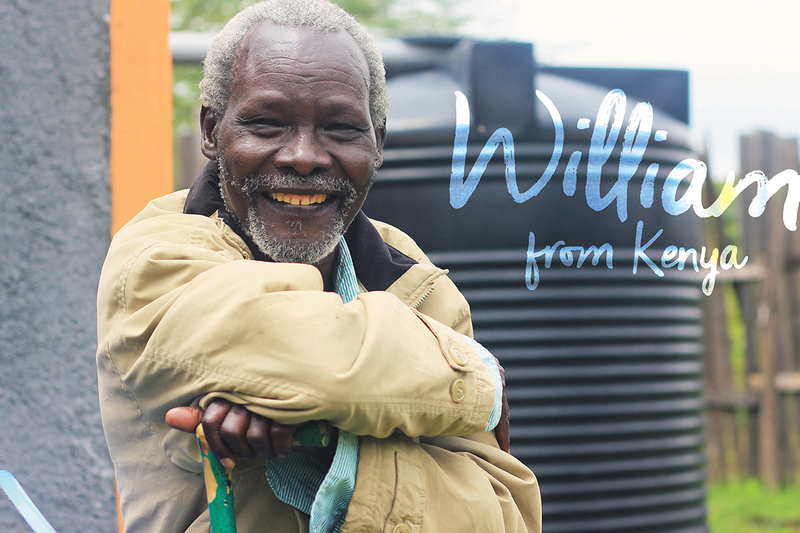 To help them provide for the family, William taught them farming, and together they make a living from the land. 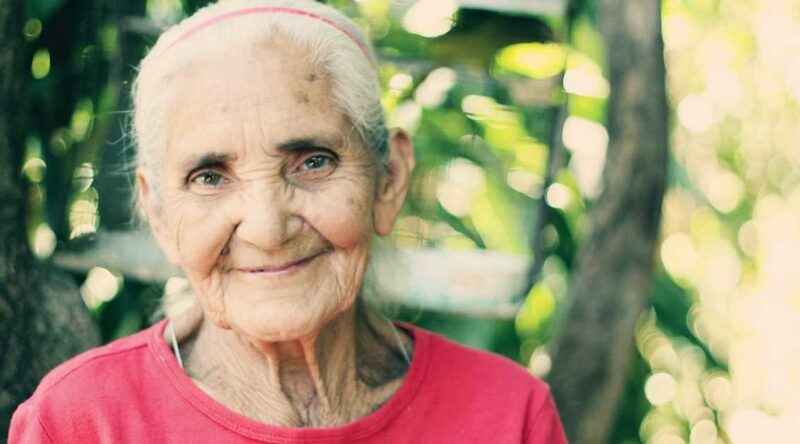 In her community, 101-year-old Elisa is known as “mamita” because she’s delivered so many babies. “Even the mayor calls me ‘mamita’ because I delivered him, too,” Elisa said. She never attended school but became a midwife at the age of 14. Elisa learned the trade, which has been in the family for generations, from her mother. She hopes the skill continues with descendants like granddaughter Luz (middle), with whom she lives, and her daughter Maria (left). Walk with an elder. Sponsor today. 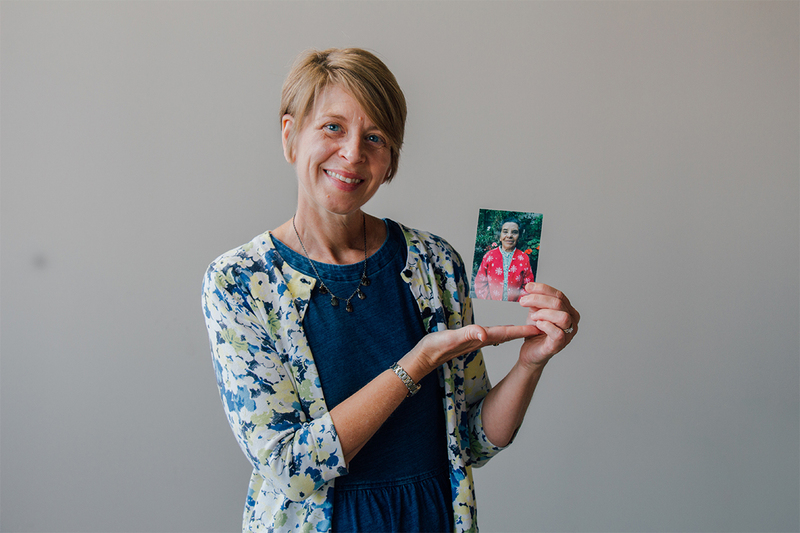 Janelle Stramm with a photo of her late sponsored friend, Lucinda. A few years ago, I was diagnosed with cancer. I was beyond scared and prayed that God would be with me for whatever was ahead. I, too, was relying on my faith to navigate my way through having cancer. Though we were both sick, the health care options available to us were vastly different. I had access to excellent health care choices and she had only medicine to relieve pain. But she had spiritual wealth and shared it by visiting others who were sick. Her practice of offering compassion had a profound impact on me. It gave me hope for whatever was ahead for me. Soon after my treatment, I was back to doing everything I did before like running and yoga. Yet, I felt different. I felt more joyful about everything. Faced with my own mortality, I learned how God is present in our lives and how to recognize his presence through my relationships with others. Lucinda and I exchanged many letters before she passed away. Although she could not write herself, her sentiments were shared by a social worker named Ingrid. With Ingrid’s help, Lucinda and I shared our favorite colors and flowers. After corresponding for more than a year, I finally shared with Lucinda how much she influenced me. I’ll never know her reaction because she passed away shortly afterward. In her honor, I participated in a triathlon, raising funds for the Unbound Health Fund. After the event, I wrote a card to Lucinda’s family. I shared with them how she greatly influenced me, and that I was honored to know her, even though it was for a short while. 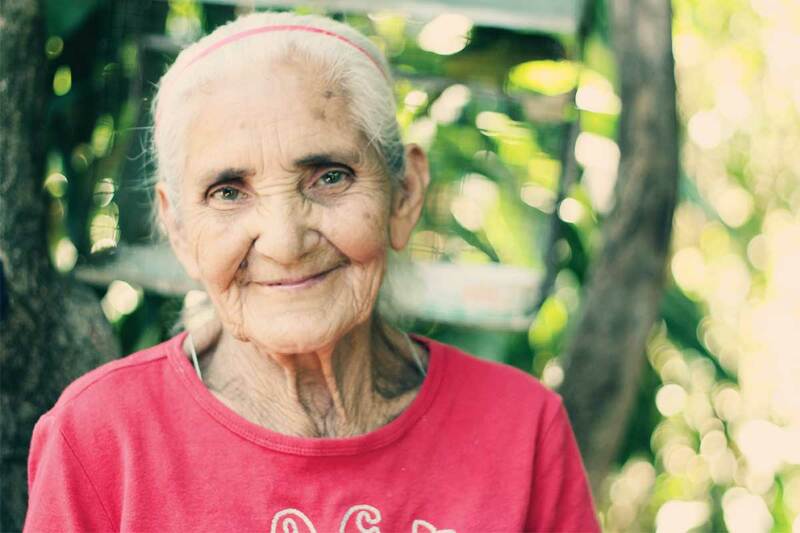 Genaro lives in El Salvador with her daughter Paula and granddaughter Rocio, who is also sponsored through Unbound. Genaro is originally from Honduras, where she and her husband Regino met and adopted Paula. Under the best of circumstances, living to a ripe old age requires resilience. For those who grow old in the economically developing world, it also requires no small amount of courage. The 2015 U.N. “World Population Aging” report said that the percentage of the population that is elderly is growing in nearly every nation on Earth. Like most major social developments, that increase will likely have the greatest impact on those living in poverty. Unbound has been ahead of the curve in learning how to respond to that reality. 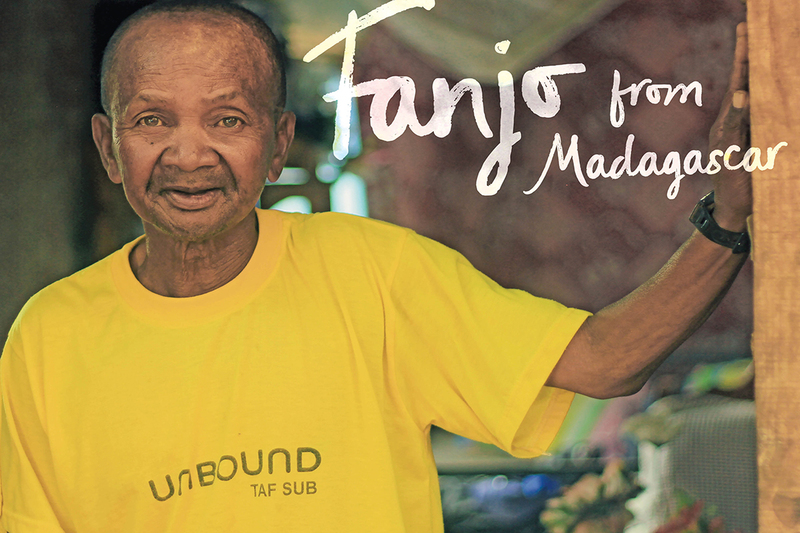 In the mid-1980s, Unbound became the first major U.S.-based nonprofit organization to offer sponsors the opportunity to provide monthly financial support for elderly persons living in poverty. Today, it remains the only major sponsorship organization to include seniors among those they support. 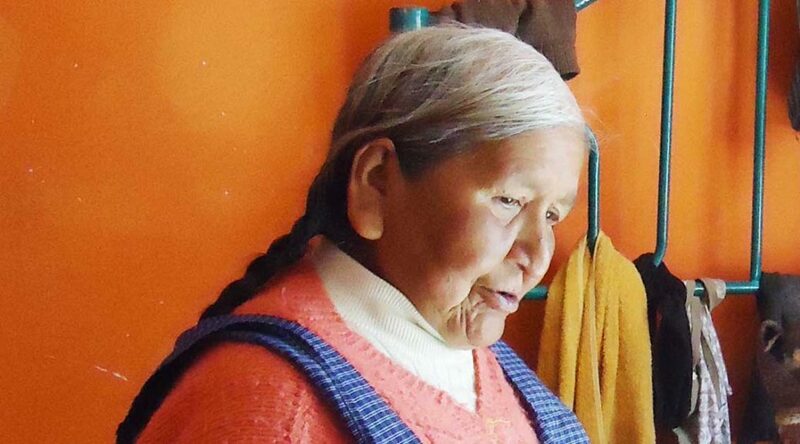 Sponsored elder Teresa, in Guatemala, takes care of her grandson Luis. 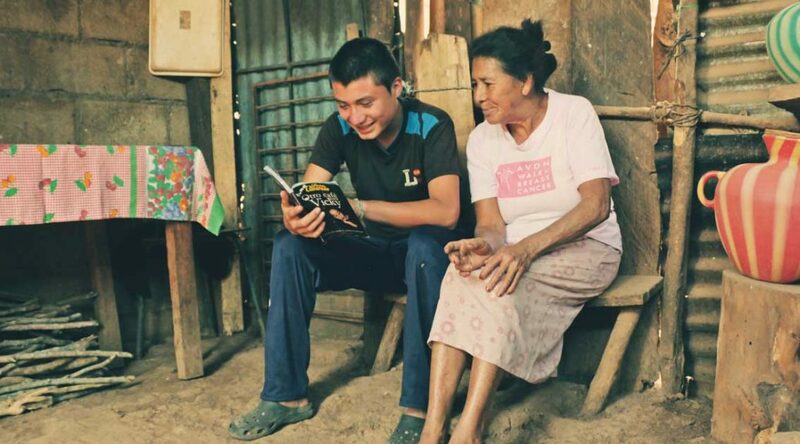 In the evenings, Luis reads to his grandmother. It is a special moment of sharing for both of them. Paulina in Nairobi, Kenya, is hard at work processing grain. Program benefits helped her improve her roof with iron sheets, so now she’s able to store her grains in her home after the harvest. At Unbound we focus on relationships. In partnership with the families we serve, we build communities of trust, accountability, mutual learning and respect. When combined with financial support, the bonds of love formed between sponsors and sponsored friends and their families become pivotal to the success, improved health and happiness of those we serve. We believe the relationship thrives in part by its reciprocal nature. Both parties, sponsored friends and sponsors, blossom and benefit because of it. While this connection is important for children and youth in their growth, it’s especially critical for elders as they cope with the social isolation that often comes with aging. And the problem of isolation is likely to grow as the world’s population gets older. In our “Living Unbound: The resiliency of elders” series, we explore our distinctive and trailblazing approach to serving this aging demographic. Members of the Unbound community also share with us some of the blessings and challenges they’ve experienced along the way. In Nairobi, sponsored elder Erastus demonstrates his determination in searching for a community of peace and acceptance. 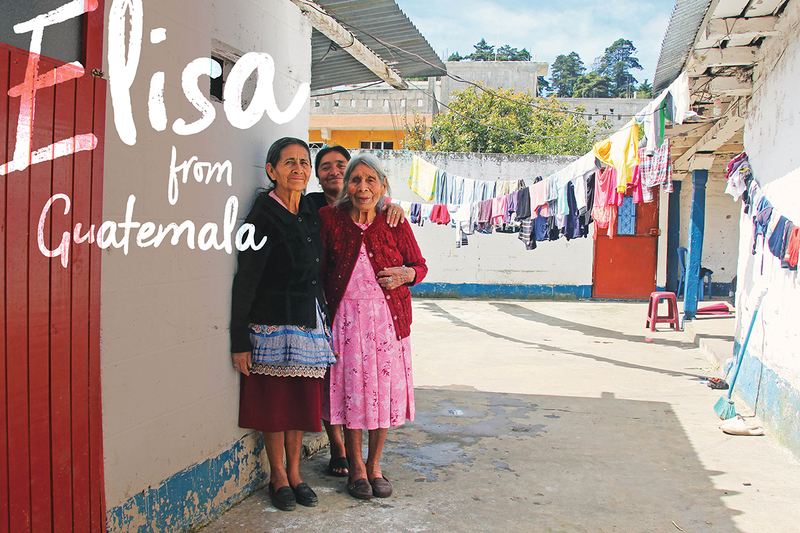 Unbound staff member Janelle Stamm recounts how she bonded with her late sponsored elder, Lucinda in Guatemala. Each account reveals real hopes and real hurdles. They confirm that the elderly have much to teach and much more to do. Improved quality of life and increased social interactions help them share their hard-earned gifts with others. We also take a look in this issue at steps we’ve taken to disrupt elder isolation, as well as introduce readers to how we’re seeking to measure our results. Unbound strives to offer quality and necessary services for elders. Human connection remains an important aspect, one that requires the participation of sponsors, staff members, communities of sponsored individuals and their families, and countless others. 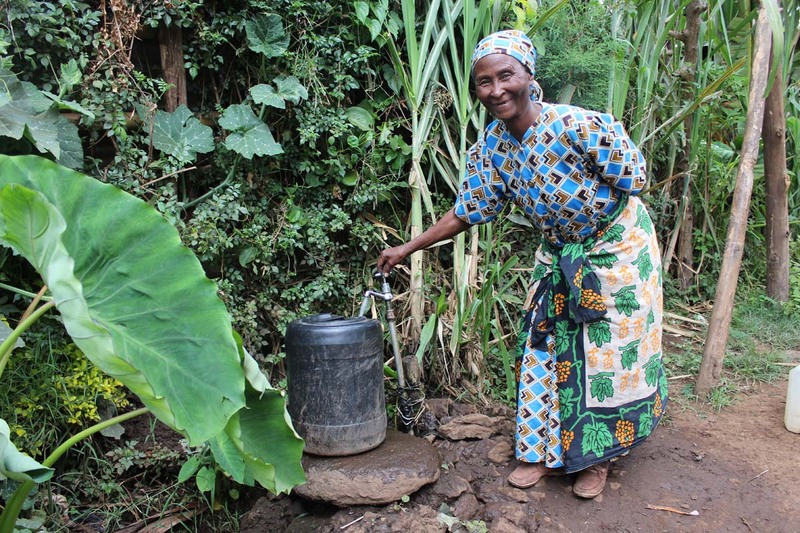 Doris, a sponsored elder in Kenya, displays the water fixture she had installed after saving up her sponsorship benefits. In 1993, the United Nations designated March 22 as World Water Day. It’s an occasion to spread awareness about the global water crisis and work toward the goal of all people having access to safe water by 2030. 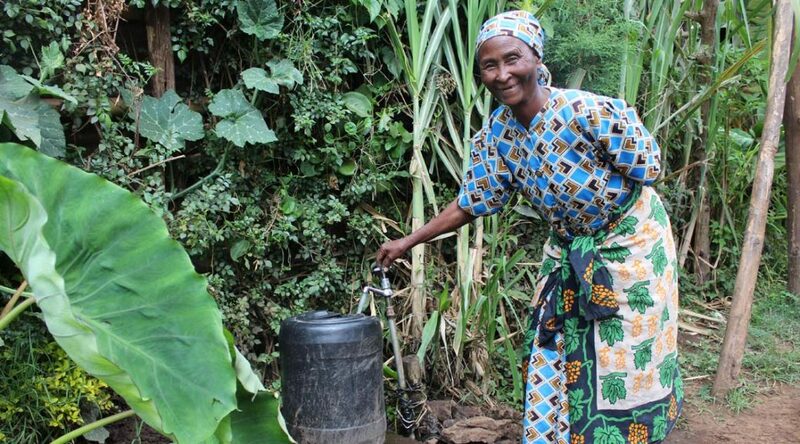 In Unbound’s programs in Latin America, Africa and Asia, clean water is something that a number of families access with the help of their sponsorship benefits. 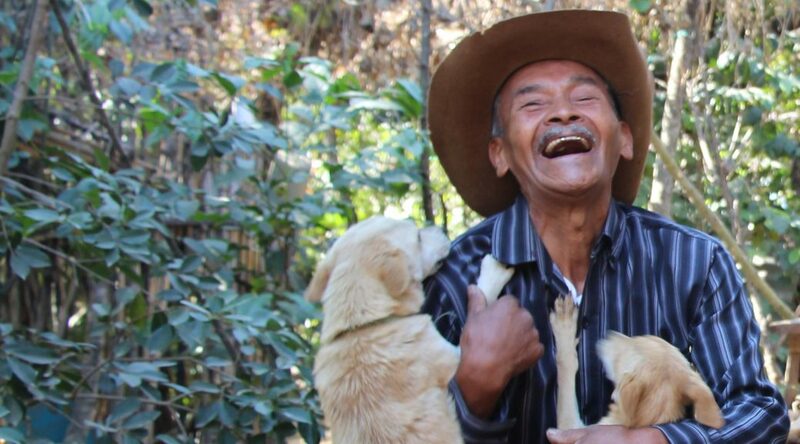 Esteban, a sponsored elder in Guatemala, enjoys playing with his dogs . Over the past weeks we’ve heard phenomenal stories of Unbound sponsored elders and their wisdom, joy and love. 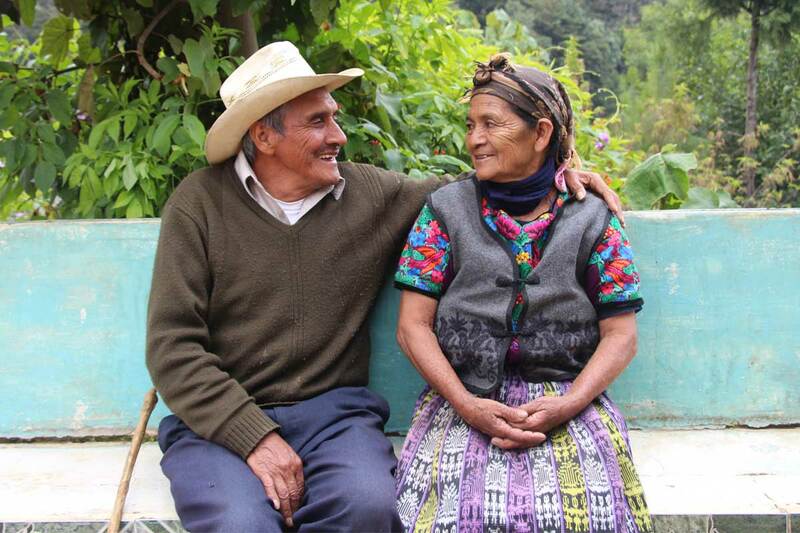 We learned about Cristina in Guatemala, who returned to school at age 59, and Julia in Bolivia, who embodies love in how she cares for her husband. 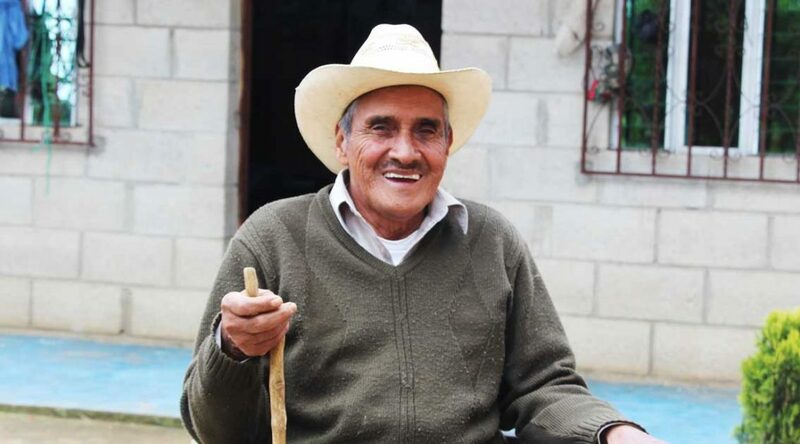 Eusebio in Guatemala shared his wisdom about embracing life, while Eustaquia in Mexico provided a lesson in ingenuity and care for the earth. Finally, Maria in Guatemala described the hardships of her life and how she has overcome them through faith. Eusebio enjoys some time outdoors with his “soulmate,” wife Tiburcia. Sometimes a person doesn’t realize how bad things have been until they begin to see how much better they can be. 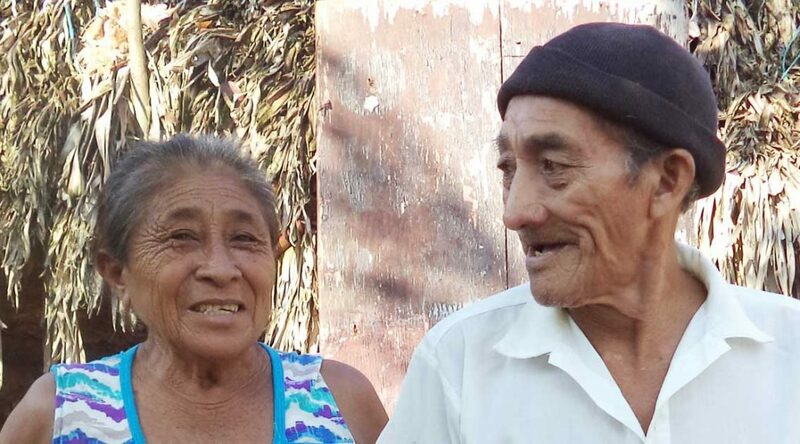 That’s the way it was for sponsored elder Eusebio, 73, from Guatemala. Six years ago he injured his leg while collecting firewood. But because he couldn’t afford proper medical care, the wound never healed and eventually developed into a trophic ulcer. 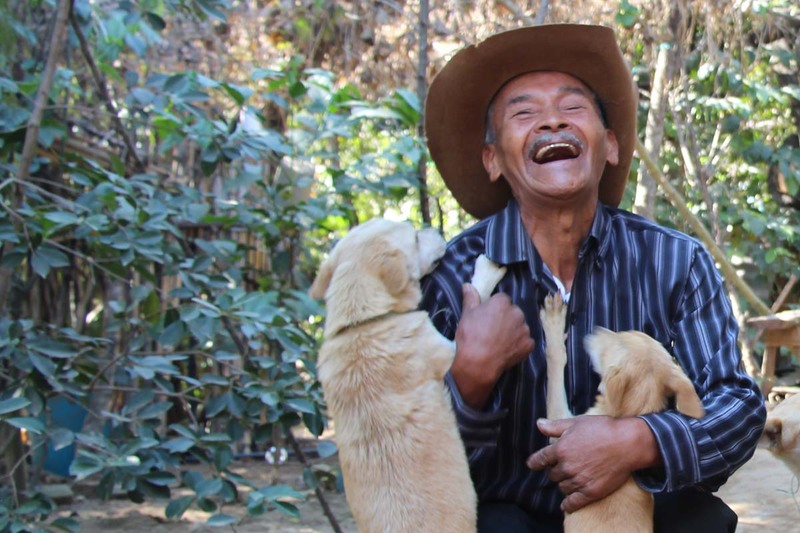 When Eusebio became sponsored through Unbound in 2014, he was finally able to see a doctor. He learned just how close he had come to losing his leg and, possibly, his life. He began receiving treatment, which continues today. 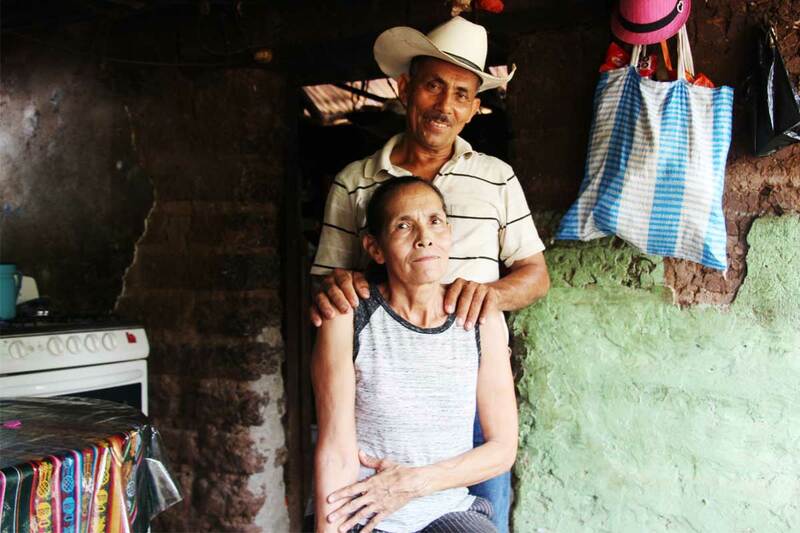 Cristina and her husband, Epifanio, in their home. Whether it’s providing workshops for sponsored members and their families or encouraging children and youth to stay in school, education has always been a pillar of the Unbound program. And we know that each person has unique needs and abilities, so Unbound social workers work with sponsored members to find the education that’s the best fit, from taking formal classes during the week or opting for technical school or a training program. 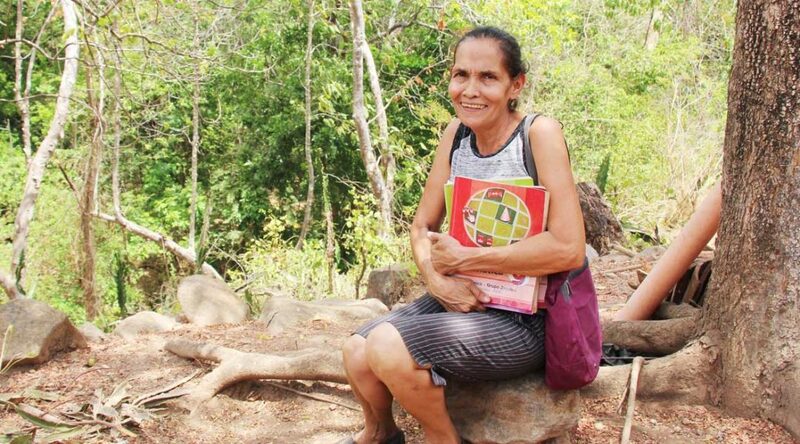 With the assistance they receive from Unbound, individuals around the world are choosing to continue their education, and some are even able return to their studies after having to take a break. And Unbound doesn’t just limit the encouragement to children and youth. One of the best examples of this is sponsored elder Cristina from Guatemala. 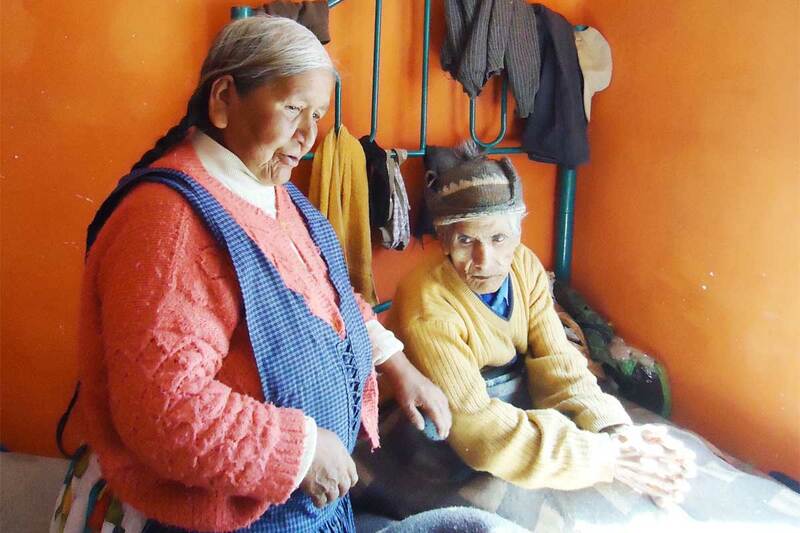 Cristina is 63 years old and has been a part of the Unbound program for more than four years.